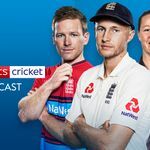 The Cricket Debate podcast: Bob Willis and Mark Butcher on England’s turnaround Last Updated: 01/06/18 8:25pm Sky Sports Cricket Podcast What a difference a week makes! Pakistan made a mess of their first innings on day one of the second Test as England turned things around thanks to a much-improved bowling display. Download the Cricket Debate Podcast here to get the views of former England internationals Bob Willis and Mark Butcher on how Joe Root’s side began to put to bed the lamentable Lord’s display. Catch up with all the action from Day one of the second Test Catch up with all the action from Day one of the second Test Bob Willis says Sarfraz Ahmed was duped by the Yorkshire sunshine at Headingley and England ended up bowling in perfect seamer’s conditions – but did James Anderson bowl the right length? Watch day two of the second Test from 10am on Saturday on Sky Sports Cricket and Main Event.